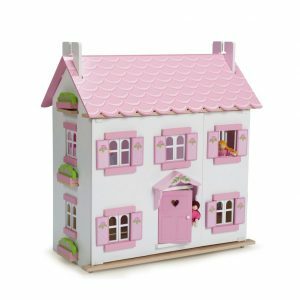 Le Toy Van are a luxury children’s toy company based in Surrey, England. Inspired by the understanding that children have small hands and big imaginations, Le Toy Van endeavours to design a unique collection of toys which set the scene for idyllic childhood adventures, from charming doll’s houses to bold pirate ships, where children are free to invent their own stories. The toys are hand finished and take extra care to create environments that children can relate to and immerse themselves in, upholding traditional play values. Their aim as a company is to design great wooden toys that help children develop through role-play. Traditional wooden toys with a contemporary twist, which encourage fine motor skills along with cognitive and social play. 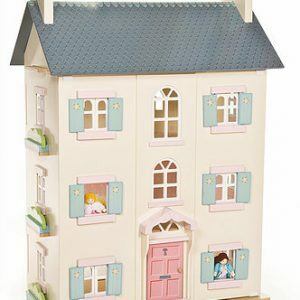 All of their toys are designed in-house in the UK and are ethically produced. Established in 1995, Le Toy Van Limited is a family-run company.